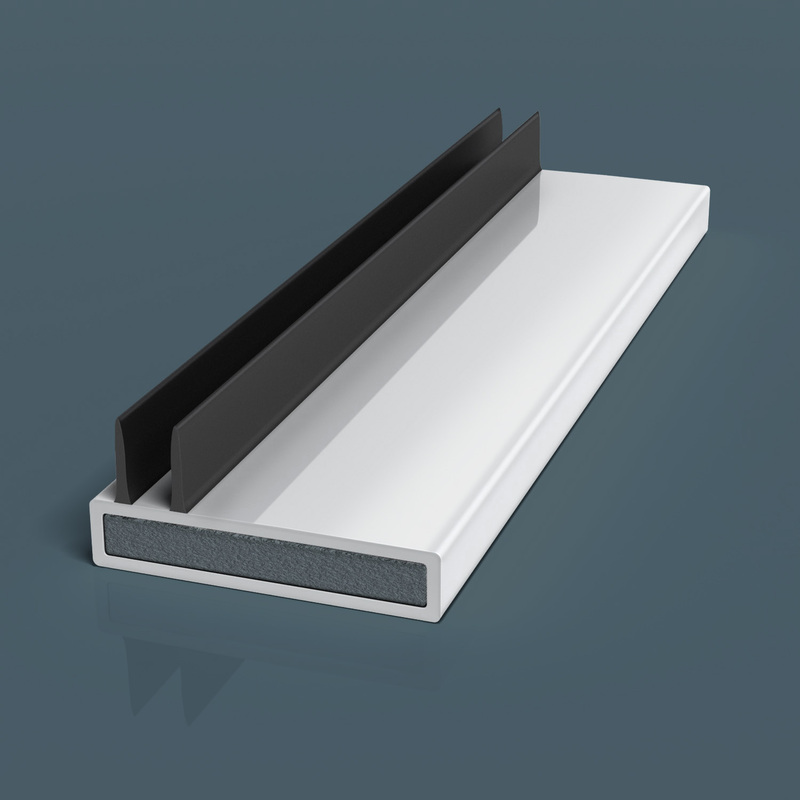 Our co-extruded Flexifin seals provide an integrated solution to problems of fire spread, cold smoke leakage and acoustic insulation. 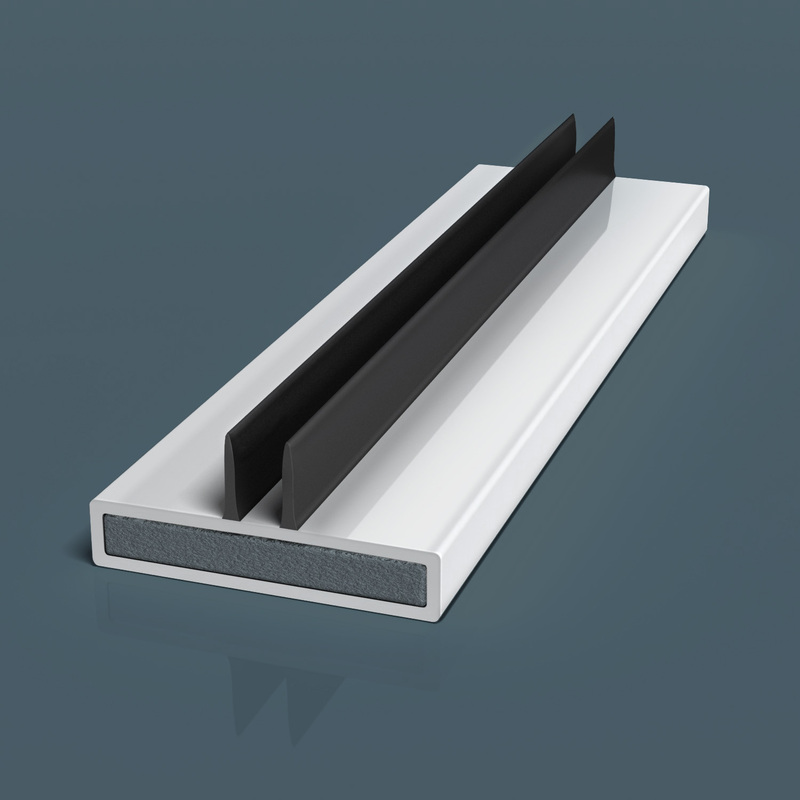 Available in both centred and off-centred designs, Flexifin not only offers highly effective sealing but also allows doors to return to their closed position with minimum resistance. Often preferred in certain environments to standard brush pile, these seals provide greater acoustic sealing performance and are ideally suited to hospitals, clean rooms, computer rooms or food preparation areas. The fin blades are made from high-performance thermoplastic, fused to a rigid pvc holder in the manufacturing process, containing either our 500 or 100 intumescent material. Fire tested to BS 476: Part 22: 1987 and smoke tested in accordance with BS 476: Part 31: 1987. Easy to wipe clean and keep bacteria free for use in hospitals, surgeries, clean areas etc. Pyrostrip Flexifin Co-extruded seals are supplied with twin fins that are thermally fused to the PVC sheath and can be supplied in the following sizes, colours and finishes. Twin Fin available in blade height of 5mm. 500 Graphite dark grey or 100 Palusol based white core.